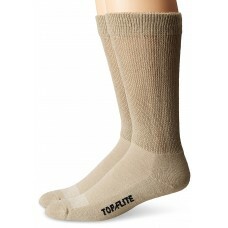 High quality materials are used in the manufacturing process at our North Carolina, USA plant pictured in left photo. 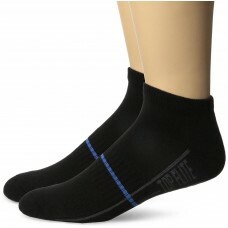 These sport socks are made out of an ultra soft and stretchy blend of 75% Polyester, 23% Nylon, 2% Spandex. 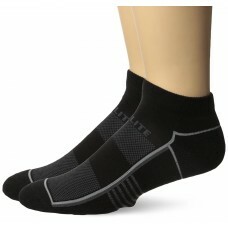 - Cushioned foot for extra comfort and impact protection. 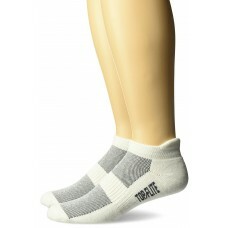 - Low cut ribbed top support provides no slipping or bunching around ankles. 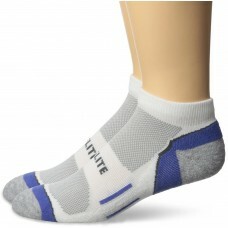 - This sport sock features an integrated arch support design that provides precise fit and helps reduce foot fatigue. 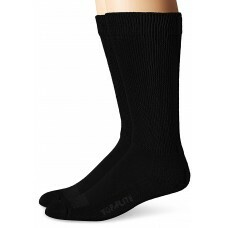 Arch-hugging zone delivers comfortable all day wear. 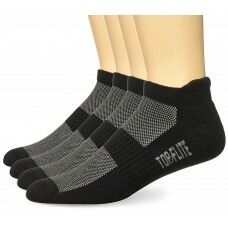 - Performance fit knit with moisture wicking yarns to keep feet ultra-cool. 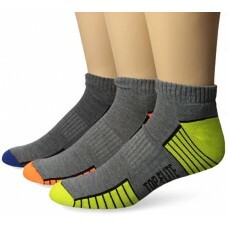 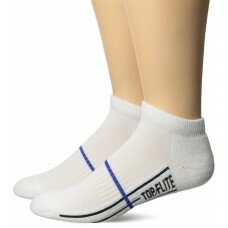 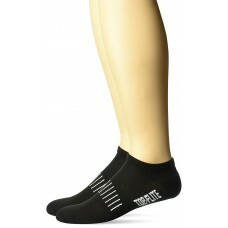 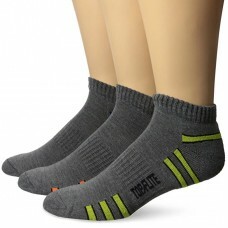 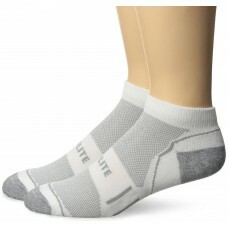 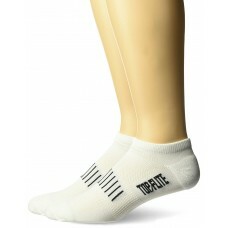 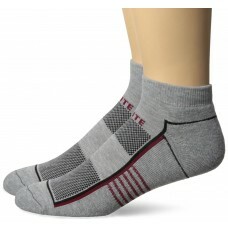 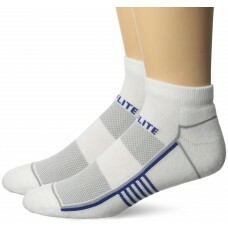 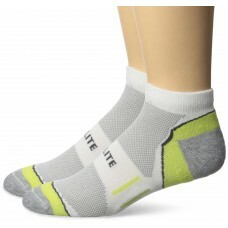 This Top Flite sock has many features that include: moisture wicking, half cushion foot, arch suppor..